60 Ma Family strips are presented in the book. Available at comixpress.com. 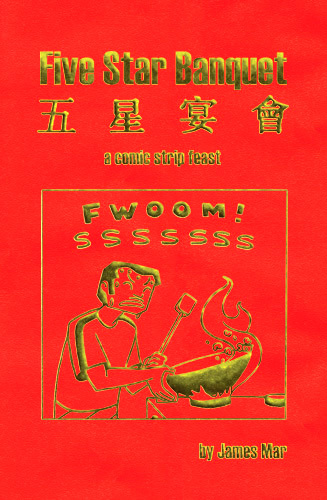 THE MA FAMILY is a comic strip about this particular Chinese American family's miscellaneous experiences and activites in America. Much of the subject matter revolves around the Chinese culture. There are also various Asian American themes and issues are explored including acculturation vs. unacculturation, pride, tradition, the entertainment media, language, generational conflict, values, ethics, history, etc... But the main focus is, of course, on the uniquely defined humorous family unit composed of a mom, a dad, a son, a daughter, and a dog. Click on image for the next page. Any repost, republish, or reuse without expressed prior written consent is strictly prohibited. All Rights reserved.